For just the right balance of adventure and relaxation, rainforest exploring and beach lounging, this Central America country is a find, and a great value. When planning a recent winter holiday for our family, my husband and I were seeking just the right balance of adventure and relaxation, rainforest exploring and beach time lounging. 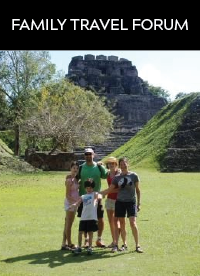 After researching our options, Belize came up the winner, and lived up to every expectation we had of a fantastic family destination.